New York, NY – Since Gretchen Fraser’s historic slalom gold at St. Moritz in 1948, U.S. ski and snowboard athletes have taken home an impressive 35 Olympic gold medals. This October, all 31 of the Olympic champions or their descendants have been invited to New York City to celebrate the 50th anniversary of the U.S. Ski and Snowboard Foundation’s New York Gold Medal Gala. 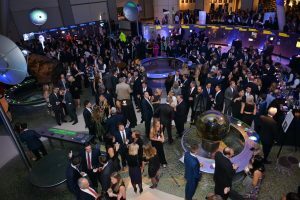 The New York Gold Medal Gala will be held Thursday, Oct. 13 at the famous Cipriani Wall Street, a New York landmark that has served as the home of the New York Merchants Exchange, the New York Stock Exchange, the United States Customs House and the headquarters of the National City Bank. The gala will raise over $1 million for U.S. skiers and snowboarders through the U.S. Ski and Snowboard Foundation – a critical element of funding for an organization that has no government support. From its humble beginnings as the New York Ski Ball held at Tavern on the Green in 1967, the prestigious event quickly became more than just a fundraiser, establishing itself as a pivotal cultural event in the Olympic sport. Over the years, hundreds of Olympic skiers and snowboarders have graced the stage of some of New York’s most notable venues from the Plaza, Pierre and Waldorf hotels, to the Hammerstein Ballroom, Cipriani and even the deck of the aircraft carrier Intrepid. The Ski Ball concept was created at a time when the U.S. Ski Team was starting to take center stage in a sport that was just creating a global World Cup tour. A group of prominent New York businessmen, led by J. Negley Cooke, the head of Sterling Drug, were seeking a way to energize support for the athletes of the U.S. Ski Team. After the success in 1967, the group ramped it up in year two at the Waldorf-Astoria, gaining support from major American corporations like Eastman Kodak and Pontiac Motors, with over 1,300 attending and raising $75,000 for the athletes – an unprecedented sum for the time. Through the years, the ball became a fixture in a crowded New York City fundraiser landscape. It has long been a popular event for celebrities, business leaders and politicians. It has showcased great entertainers, from the orchestras of Michael Carney and Peter Duchin, to popular stars like Sheryl Crowe, the B-52’s, Counting Crows and more. But its real success has come from the deep integration of athletes, serving more as a seasonal send-off and celebration. For 50 years, America has celebrated its greatest ski and snowboard champions on stage in New York City, providing a much sought-after evening of fun for athletes before the start of the competition season. 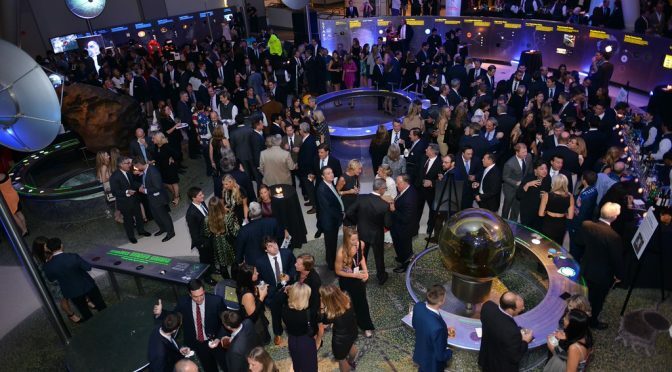 This year’s New York Gold Medal Gala will be hosted again by Olympic Champion Jonny Moseley, with he and his fellow gold medalists featured as the stars for the evening. The event will be co-chaired by U.S. Ski and Snowboard Foundation trustees Dani Virtue, a business leader and former ski racer, and Tutino. The event will also feature a host of athletes beyond the Olympic champions, including World Champion and Olympic silver medalist Billy Kidd of Steamboat Springs, Colo. Kidd, one of the stars of the 1960s after winning silver in slalom at the 1964 Innsbruck Olympics, was among those attending the debut gala in 1967 and has been a regular attendee ever since. It will be a first time appearance for the New York Gold Medal Gala at Cipriani Wall Street. The event is expected to be a sell out. For more information on supporting U.S. athletes through the New York Gold Medal Gala, click here. First Olympic gold medal won by Gretchen Fraser, winning the women’s slalom in 1948 at St. Moritz.